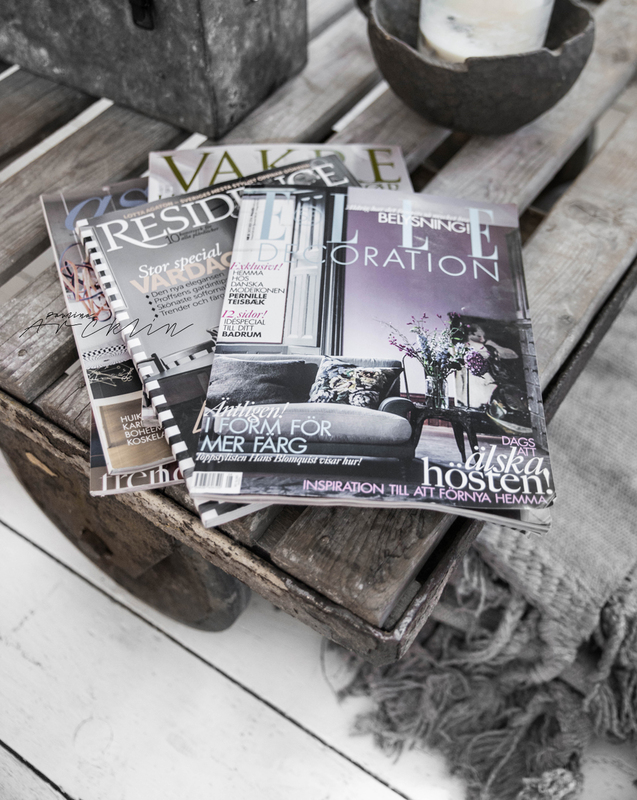 I love Scandinavian magazines so this time I hoped newest issues of Elle Decoration (Swedish), Residence (Swedish), Vakre Hjem og Interior (Norweigian) and I got also Asun and Avotakka magazines from Finland. All different kind of ones. It's pretty interesting to follow, of course here in IG but also by magazines how different styles and trends magazines shows up same time.